Get your business running in less than 5 minutes. Free EVCOFFICE apps to take your office with you on the go. Free Click2Call in every solution. Register for a demo now! With EVCOFFICE you can download our app and turn your mobile into your office extension. Never miss a call, make and receive calls, share files and more, as if you were behind your desk. Use EVCOFFICE from your PC or your mobile.Take your office with you on the go. Create an environment where all your colleagues can meet online in one place . create greetings by simply entering the text .Securely call, chat and share files in group channels or in direct conversations. In todays economy mobility is key. Download our EVCOFFICE app and access your office content , contacts and company directory from anywhere and on any device. Use EVCOFFICE from your PC, desk phone or mobile. Never miss a call, and save like never before. EVCOFFICE is breaking all the rules. Purchase phone numbers from over 65 countries and 1000's of cities world wide within minutes. Open up branches to your business in a matter of seconds, and connect everyone through our FREE EVCOFFICE app. Your mobile is your extension in the office cloud. Create Teamwork channels and invite people from outside the company to your group. Create call conferences with phone and web access. Share documents and media, over a secured environment. How do i start using EVCOFFICE PBX? Its as easy as 1-2-3. By following a simple three (3) step process and you'll be up and running in no time. Download our free EVCOFFICE app and take your business with you on the go! Sign up on line, by selecting a dedicated phone number for your PBX, the number of lines , extensions and optional plan or bundle for your office. Log in to your EVCOFFICE portal. Add your colleagues by providing their emails. All newly added users will receive an email with login credentials for their account and the EVCOFFICE app. Download the EVCOFFICE app from google play and the appstore. Use the login information we emailed in step 2 to register the app and join the EVCoffice PBX. Evcoffice gives you the ability to choose the way you use the service. Mobile, PC, desktop phone or tablet. Unified communications with all devices. For a limited time we are GIVING away all the USER licences for our EVCOFFICE cloud solution. Save thousands of dollars in license fees by using EVCOFFICE. EVCoffice provides all the unified functionalities without the cost. Sign up and download our free EVCMOBI office app. Charge your EVCOFFICE account for all your mobile calls. in and out of the office. Chat and call for free with our EVCOFFICE app. Our unique billing logic translates into HUGE savings for the Customer. Customers can selectively purchase plans for their business , where all users share the company plan. Avoid purchasing multiple plans for each user. Coupled with our free EVCMOBI office app's, you can take your extension with you on the go. Cut your corporate mobile costs and never miss a call ! With EVCOFFICE you can have conference calls with multiple users. Invite 3rd party associates to our unified communications conference, by sending a simple email and a log on link. Send attachments , share location, all with the security and quality assurance EVCoffice provides. We support you, whether you are at your desk or on your mobile, EVCOFFICE allows you to stay in touch with all devices. Local numbers in a snap! Buy a local number in over 65 countries and 1000's of cities world wide. Purchase a number in a new area or city, and expand your business. You also get free voicemail, auto attendant, and many free calling features. 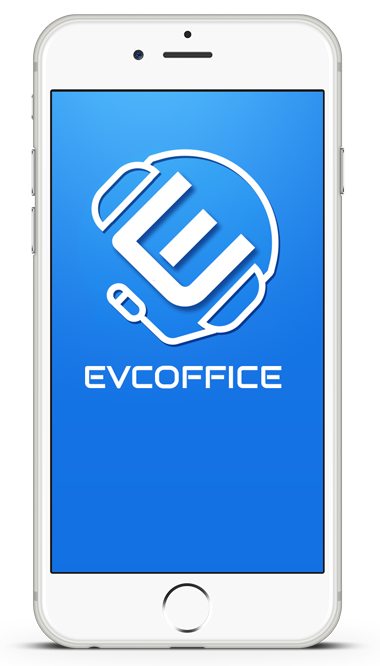 Receive calls and manage your communications from your desk or directly from your mobile using our EVCOFFICE app. With our EVCMOBI office app, all you need is your mobile. Another perfect idea from EVCOFFICE. Make a mobile call without charges!! Call anywhere anytime and avoid hefty mobile charges. Use our EVCOFFICE app from your mobile and call , as if you are in the office. Charge your office account and NOT your mobile. This translates into huge savings on your out of office calls. Download our free EVCMOBI office app and use our advanced calling features to make all your office calls from your mobile. HOW COOL IS THAT?? Travelling? Take EVCoffice with you. The EVCOFFICE app is the perfect travelling companion. FREE voice, text and video anywhere in the world. No roaming fees or incoming call charges. That means that people can call you abroad , the same way they call you at the office. Without additional fees or charges for either of you. EVCMOBI PBX for the Office is all about Business Communication in the Cloud. Download it now and increase teamwork and productivity in your business. EVCMOBI OFFICE Unified Communication apps for Android and iOS. WebRTC web client and Desktop hardware phones, We support them all! Numbers from 65 countries and 1000's of cities. Geographical and toll-free. EVCOFFICE supports multiple numbers on each account. Get a number in another area and expand your business today. Never miss a call. Receive calls on mobile, desktop phone and web. All calls and chats are synchronised across all devices. 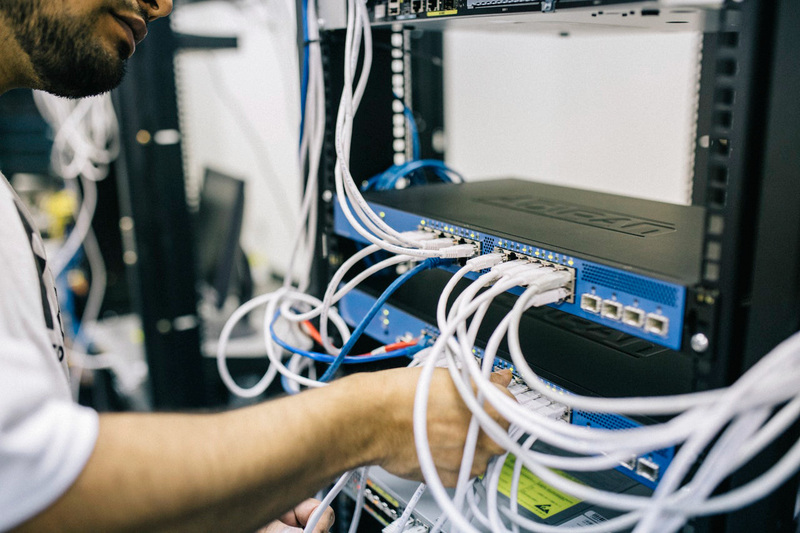 Connect your remote offices with a single phone system. Create a unified numbering plan with branch prefixes. Use branches to group users based on their roles in the company, e.g. support, sales etc. Create permanent or adhoc conferences. Access from web or mobile apps. Add people not from your company as guests so they can access the conference via web. Allow external dial in through our access numbers. Record and archive all inbound and out-bound calls (excluding user to user calls). Listen directly on web or download as mp3 file. Enable/disable recording per user. Pick up all your voicemails from any device. Direct calls to teams all at once or sequentially. Whether you use the service from your PC, desktop phone or our EVCOFFICE app, you can call , chat , video , conference, share files, location and media documents with all company users. A user can access the directory directly from the portal or the app. To start communication just click the call or chat button. When calling phone numbers outside of your company all costs are incurred by the shared company account.